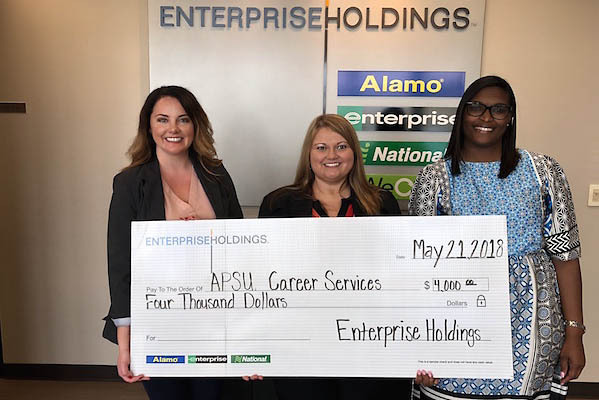 Clarksville, TN – The Enterprise Holdings Foundation continued its support of Austin Peay State University this summer with a $4,000 donation. APSU’s Office of Career Services increased employer outreach and as a result increased internship opportunities for students in the past year by 132 percent. The office also added 177 new employers offering job opportunities for students and alumni. Bethany Beaty, talent acquisition specialist at Enterprise Holdings, presented the donation to APSU on behalf of the Enterprise Holdings Foundation. 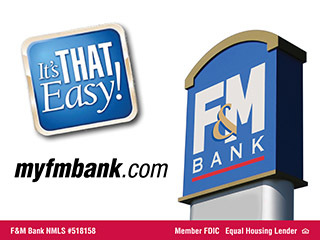 The Enterprise Holdings Foundation is the philanthropic arm of Enterprise Holdings, which, through its regional subsidiaries, owns and operates the Enterprise Rent-A-Car, National Car Rental and Alamo Rent A Car brands. Dr. Amanda Walker, director of career services, and Tonika Jordan, assistant director of career services, accepted the check on behalf of APSU.